How to compile Windows Vista icons? 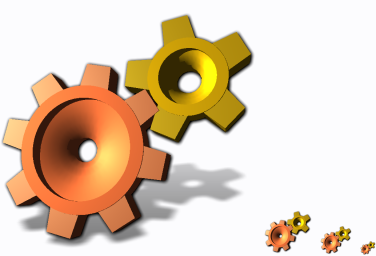 This article explains basic properties of Windows Vista icons and describes how to use Vista icons in your applications. Find more information about Vista icons in an article explaining differences between XP and Vista icons. Windows Vista icons contain a high resolution 256x256 pixels images. These images are used exclusively by Vista and they are stored using PNG-based compression. Explorer dynamically resamples them to required resolution. An icon with Vista image format. Large resolution makes it possible to add an additional effect - a projected shadow. "error RC2176 : old DIB in VistaIcon.ico; pass it through SDKPAINT". It is hard to guess when or how is Microsoft going to address this issue. Right now, it is necessary to use alternate resource compiler, manager, or tool. The following tool was prepared to deal with the problem. It has a very simple command-line interface and you can integrate it into your build process as a post-build step. The tool can replace or add an icon into an executable file using the Windows resource API. Note: If you have an exe file with multiple icons, Windows Explorer uses the first icon as the application icon when browsing folders or in start menu. Compile your application with an XP-compatible icon and then replace it using the tool. Although the tool is able to add new icon into an executable, it would add it at the end of icon list and Windows Explorer would ignore it. If you have experience with Vista icons in other build environments such as gcc, Delphi, or Builder, please share your knowledge and add a comment below. Can you provide a link to the source code? I can't find it in codeproject. I use delphi 2007.. and have windows 7 x64... I have the icons working like this.. I use icoFX to create a multi layer icon.. eg the different size icons are in one .ico file.. 256x256, 48x48, 32x32 and 16x16. Save as 159.ico. Comment out the default resource file (.RES) from your delphi project file (PROJECT/VIEW SOURCE), and add your new one created from the .rc file that has the icon info in it. This stops delphi from using the default icon definded in the project. Windows Vista and 7 can now display what ever icon it wants. Is there any information available on the return codes for replaceVistaIcon? Hi! With MinGW apps targeting 32 bit ReplaceVistaIcon break debug information (application that is processed with ReplaceVistaIcon crashes gdb).